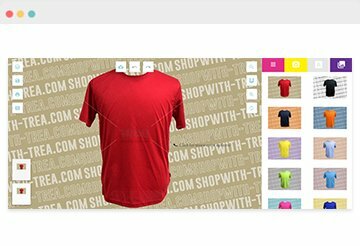 We provide fast, cheap and good quality cotton T-Shirt printing in Singapore, available in wide range of custom T-Shirt colour choice and with options such as round neck T-Shirt V neck T-Shirt cotton polo shirt, cotton jackets, cotton long sleeve and so on. Our apparel is able to print any design. We have a different print method that suits your design, for instant, a simple 1 to 2 colours design can be printed with silkscreen printing, while a full-color design can be printing with direct to garment (DTG) printing or heat transfer printing. Do check out our other options for t-shirt printing too such as polo t-shirt, dri fit t shirt and dri fit polo t shirt. Our cotton t-shirt can be customised with low MOQ of 10pc only! For express cotton t-shirt order, we can get the cotton t shirt printed in as fast as 3 working days! Contact us for a quick quote now! Our Cotton T-Shirt selection is handpicked by professionals; from different thicknesses to shirt designs, all just for the assurance of comfort, and a variety to our clients. At first glance, you might think they all look the same but we assure you that they are not. Why cotton you ask? Let us provide you with some insight to make your choice an easier one. One of the most endearing characteristics of a 100% cotton t-shirt is the fabric’s breathability. Cotton fabric is able to absorb moisture from your skin, keeping you cool and dry in humid environments. It is also an insulator of heat which keeps you warm under rainy weather. This is why people are commonly found wearing a cotton t-shirt in Singapore due to its sunny and humid weather. Being hypoallergenic, cotton t-shirt very rarely causes an allergic reaction. It is perfect for kids to wear and for those who are frequently faced with skin allergy problems or irritations. Cotton fabric sticks together for a longer period of time as compared to its synthetic counterparts. Cotton fibre is also known to grow considerably tougher when it is wet and does not tear easily. As such, a cotton t-shirt is able to withstand wear and tear and persistent washing throughout its lifetime. This is what makes cotton material the number 1 choice for t-shirts in Singapore. Due to its durability, cotton t-shirts are highly demanded t-shirt printing in Singapore. This means for competitive pricing and constant improvement in quality. Cotton t-shirts produce the best print quality with more vibrancy and contrast in bringing out the details in a design due to its smooth surface texture. The high absorbency of cotton fabric material makes silkscreen printing on a cotton t-shirt last longer. A cotton t-shirt can also withstand high temperature which can support heat transfer printing for photography and full-colour images. Lastly, cotton is the only content that supports Direct-To-Garment (DTG) Printing which is an inkjet technology of having a printer print directly onto a cotton t-shirt. This printing method allows very fine details to be printed accurately. It is very popular among artists who have intricate designs that are looking for t-shirt printing in Singapore.